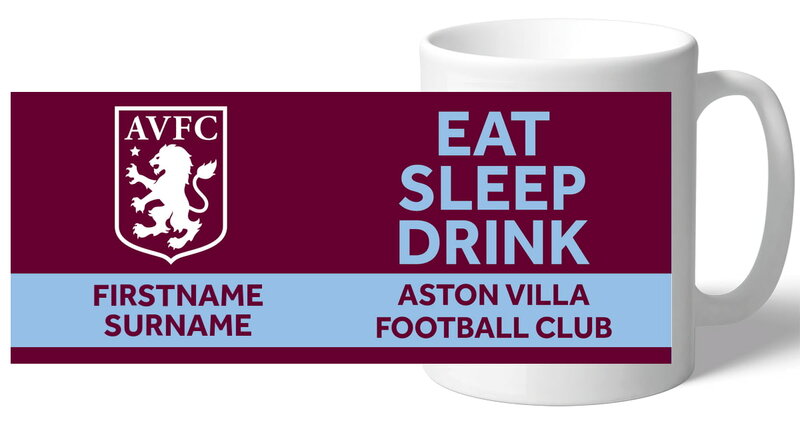 Designed using the traditional Aston Villa FC colours, we merge your chosen name into the design, along with the 'Eat Sleep Drink' slogan. 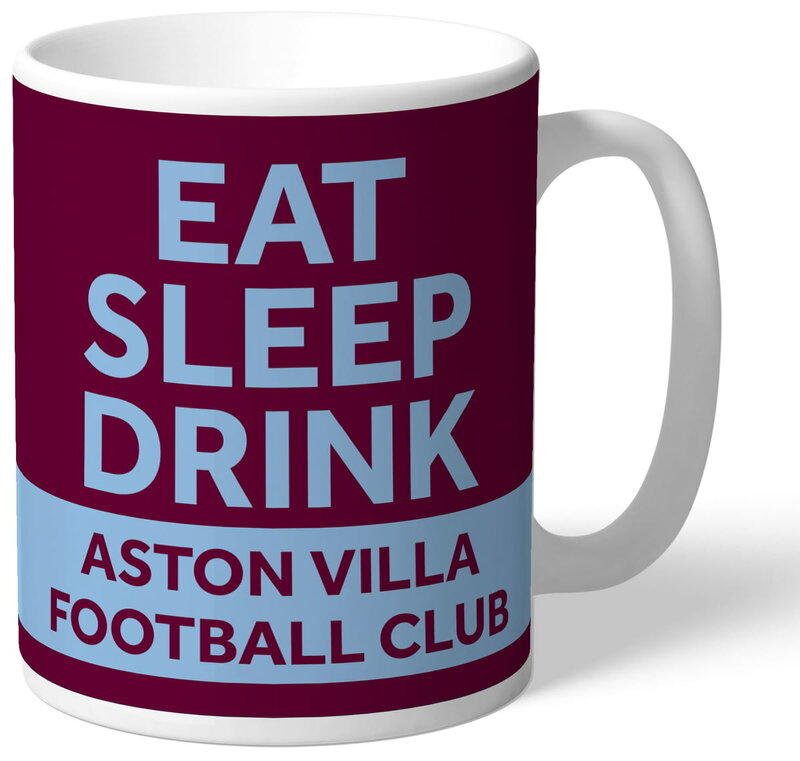 A fab and unique mug that any Aston Villa FC fan would be proud to own! This official, fully licensed Aston Villa FC Personalised Way Door Mat is the perfect gift for any dedicated fan. This official, fully licensed Aston Villa FC Personalised Patterned Door Mat is the perfect gift for any dedicated fan.